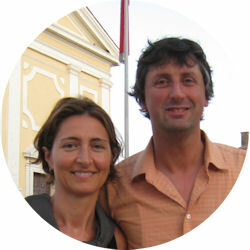 If you were wondering why we haven’t been posting anything new recently, well… we were in Italy! 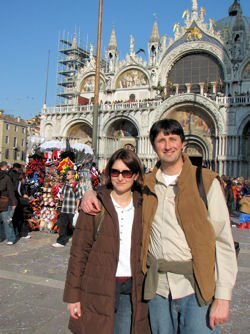 During our brief 12 day trip, we had the opportunity to visit the International Travel Expo (BIT 2007) in Milan, experience carnevale both in Venice and in my home town Muggia (in Friuli Venezia Giulia region), and do some more research for the upcoming 2007 refresh of our eBook. We have plenty of new multimedia content that will feed several podcasts for the coming months. Just give me some time to package them all, and you’ll not be disappointed. Some of you may have wondered why we haven’t updated our blog recently. Well… we were in Italy for almost a month, visiting relatives and exploring new areas, in particular the Apulia (Puglia in Italian) region in Southern Italy. We’ve come back with lots of new ideas for upcoming postings, photo-albums, screen-savers and more. By the way, anybody guessing where this picture has been taken? After almost a month of vacation, we are back home in Seattle. During this time we traveled both in the northern part of the country (including Austria) and in the south (Naples and surroundings of Rome). 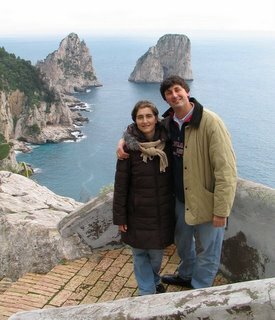 We took this picture in Capri, a beautiful island near the Amalfi coast that is worth visiting in a warmer season. Naples was especially interesting. 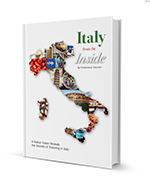 We’ll dedicate a few postings to this city and its peculiar culture that makes it unique in Italy.